Provide a free consultation in which they evaluate your individual situation including: any correspondence you’ve had with the bank, analysis of your personal assets, liability, and net worth, as well as an evaluation of the amount owed on the home and what is in the best interest for the bank. Stop the foreclosure process by restructuring the terms of your loan, lowering your interest rate, or lowering your principal to decrease your monthly mortgage payments. Negotiate a reinstatement of your current mortgage should you be able to pay off the total amount due to the mortgage lender. Help prepare hardship documents and explain to the bank the reasons why you defaulted on your loan in the first place and how you plan to pay your mortgage going forward. Work with the bank to present a reasonable payment plan that is affordable for the homeowner while still benefiting the bank. Negotiate a “short sale” or died-in-lieu of foreclosure so that the homeowner is not responsible for large amounts of money should they decide to leave their home. Prolong the foreclosure process with a forbearance where legal action is suspended to ensure the homeowner is prepared should they default on their loan or to provide them sufficient time to close on a pending sale of their home which would enable the homeowner to payoff the existing mortgage. Provide foreclosure defense serves to ensure the homeowner has a detailed exit strategy to leave their home in the event that the foreclosure process is carried out. Discuss a loan refinance even if you have an FHA mortgage. Discuss possible tax repercussions of a foreclosure to give the homeowner a strategic default method if foreclosure is the only answer. With a licensed foreclosure defense attorney it is still possible to stay in your home after the foreclosure process has already begun. There are several ways to stop foreclosure by negotiating the terms of your loan with the bank and stay in your home by avoiding foreclosure, even if a sale date has already been set. 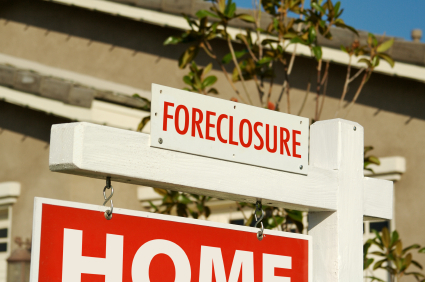 The right foreclosure defense attorney can help make this possible. See real results of loan modification cases that have helped save some customers from losing their homes and lowered their monthly mortgage payments.